Not sure what all the acronyms and complicated lingo that you see in the IT industry means? You’re not alone! 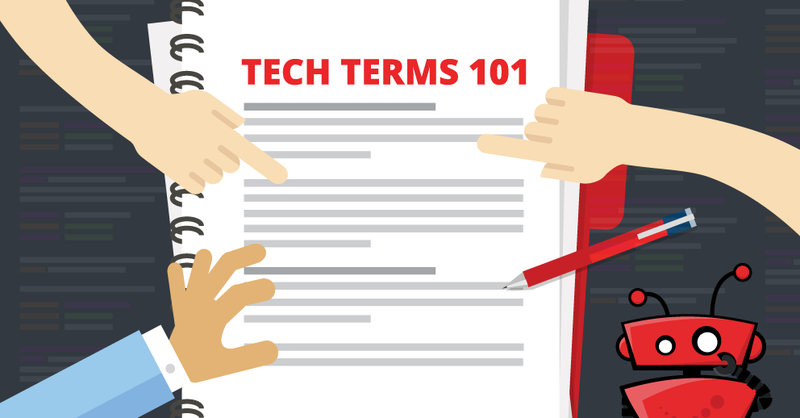 We put together a list of 25 tech terms and phrases with simple definitions, use-case scenarios, and examples to get you acclimated. So, the next time your boss or tech-savvy friend throws out a term like “colocation” or “the cloud,” you’ll be prepared. The computer monitor, mouse, keyboard, and internal parts are considered hardware. All programs coded and installed onto the computer are considered software. IPv6 is the most recent version, and Sierra is compliant in both IPv6 and IPv4 with approximately 4 Octillion IP addresses available for immediate use! You can migrate databases, applications, and other technologies from one environment to another. A common example is moving from on-premises to the cloud. A study by Statista shows that since early 2017 over half of all website traffic worldwide has been from a mobile device. Sierra can assist in the implementation of all the products, processes, and services listed above. Whether it’s migrating to the cloud, implementing Microsoft Office 365, or switching to a VoIP phone system – Sierra’s got you covered. Get a free consultation to discuss.